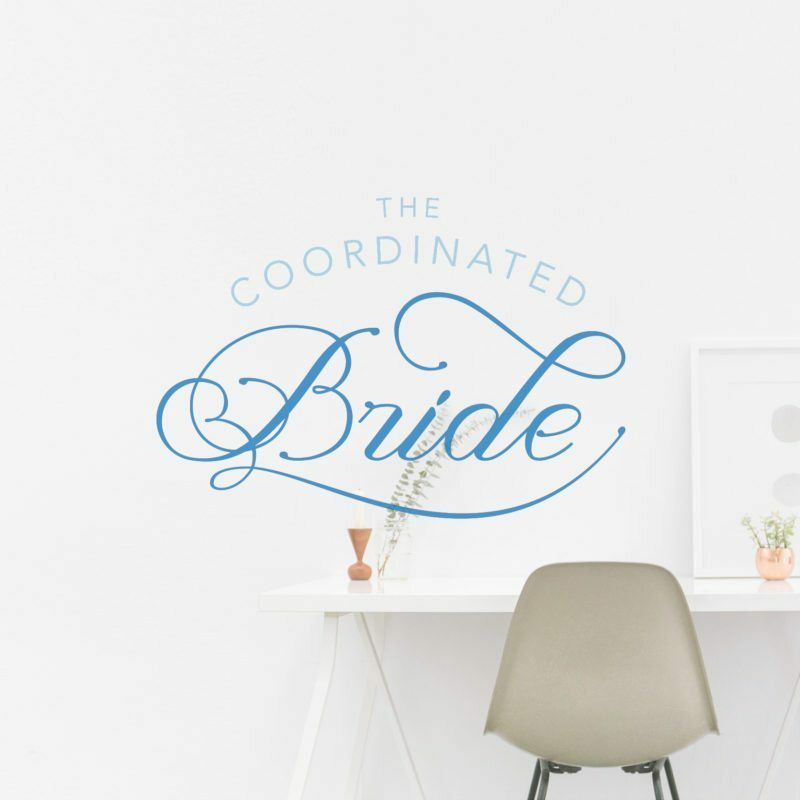 Take a look at our custom logo design and web graphics for The Coordinated Bride! Not too long ago, we had the pleasure of designing a custom blog site for The Coordinated Bride (see the original post here), while using their previous brand identity, but most recently, we worked together again to create an updated brand identity for this professional wedding blog. 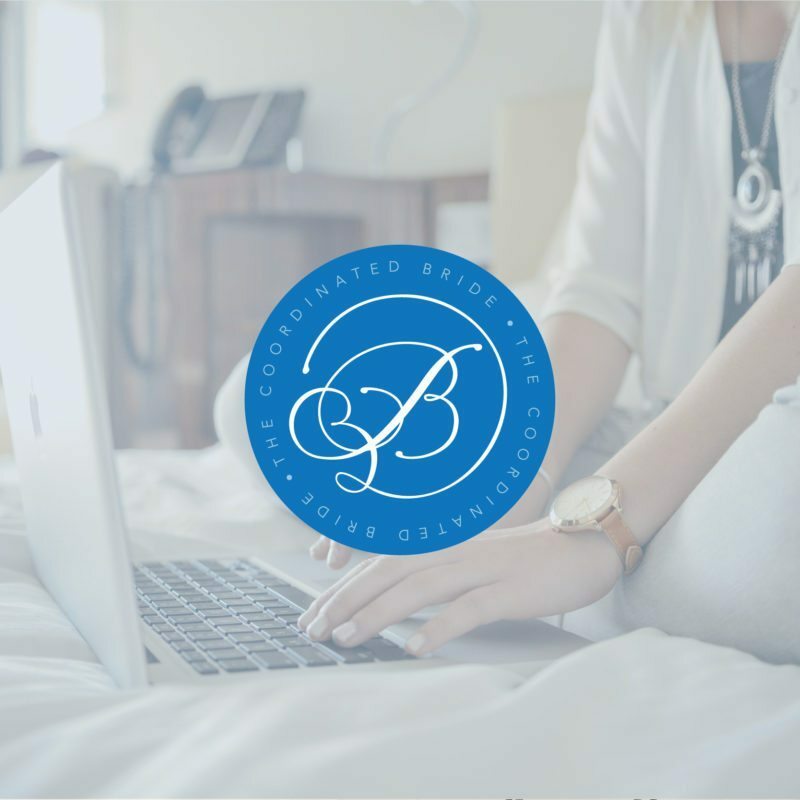 Starting with a new logo design, we gave The Coordinated Bride a fresh look: Keeping in line with the original logo, we crafted a custom blog logo that feels pretty and professional. Scripted and a modern serif create a modern, feminine feel befitting a wedding blogger. We retained the recognizable blue color and script feel of the original logo, so the website and updated brand identity still flow together seamlessly. Next we crafted several customized badges for The Coordinated Bride’s blog. Altogether, the combined logo and web elements create a cohesive look for the blog’s branding. Take a peek at the new designs for The Coordinated Bride’s featured vendors, hiring opportunities, and more. We love to see a brand’s expansion, be it online or in print. We’re excited for The Coordinated Bride’s continued growth, and we’re sure her readers will be too!